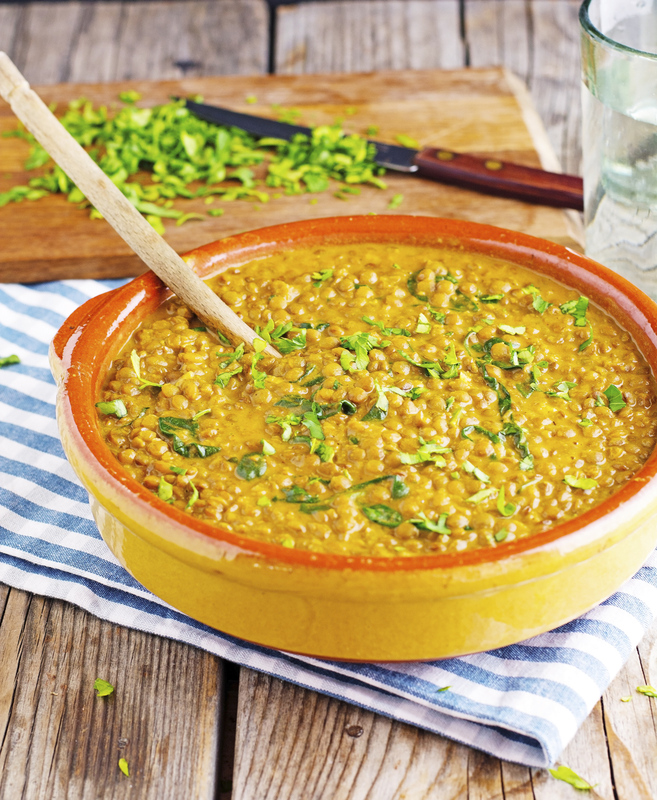 If you know anything about me, you know that I do love me a good curry lentil. In my humble opinion lentils are perfect for curries: They pair perfectly with spices, help thicken the sauce, and cook down and get super soft and yummy. 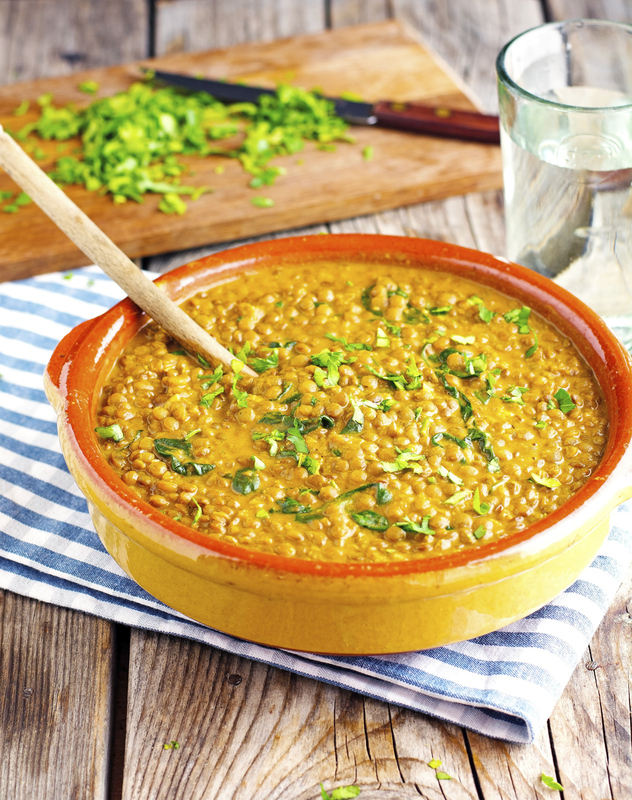 I already have a couple of pretty awesome curry lentil recipes on this blog too. Including some spectacular red curry lentils, my worldwide famous red lentil and spinach tikka masala and a recent addition, the Crock-pot Thai curry lentils, that has quickly become a new favorite. Today it’s time for a new lentil curry recipe so [drumroll please] let me introduce you to these uh-mazing Coconut Green Curry Lentils. This recipe takes about 40 minutes to make (this is mostly hands-off times) and is packed full of delicious spices and good-for-you stuff. Lentils, spinach, turmeric, green curry paste, garlic, coconut milk. You name it. It’s a healthy vegan recipe that makes a fantastic meatless Monday dinner recipe. Double the batch and you have plenty of leftovers for lunches and dinners throughout the week (i.e., Tuesday, Wednesday, Thursday, Friday, Saturday, and Sunday). Can I be honest with you guys, this is what a badass curry dreams are made of. Seriously, this is a rich and hearty lentil curry, which is definitely a main meal rather than a side dish. Don’t let the ingredients intimidate you, this is a really easy dish to make. I’m talking less than an hour till you’re in coconut lentil curry NIRVANA! (Vegan) Easy Coconut Green Curry Lentils Print this recipe! A couple of notes about lentils. First off, rinse them well until the water runs clear. Secondly, since they are small don't try to use a strainer with larger holes (Yes, I know this is obvious but still). Finally, wet lentils stick to everything. Try to get them in the right pot the first time. I found a spatula is the best tool for transferring them. Place lentils, ginger, curry paste, turmeric, and water in a large saucepan. Bring to a boil, lower to a simmer, and cook for 10 minutes. Add tomato paste and continue cooking for further 10 minutes. Stir in salt and remove from the heat. Set aside. Heat olive oil in a small saucepan over medium-low heat, ddd garlic, cumin, coriander, and Garam Masala and sautè for 30 seconds, until fragrant. Remove from the heat and stir into the lentils. 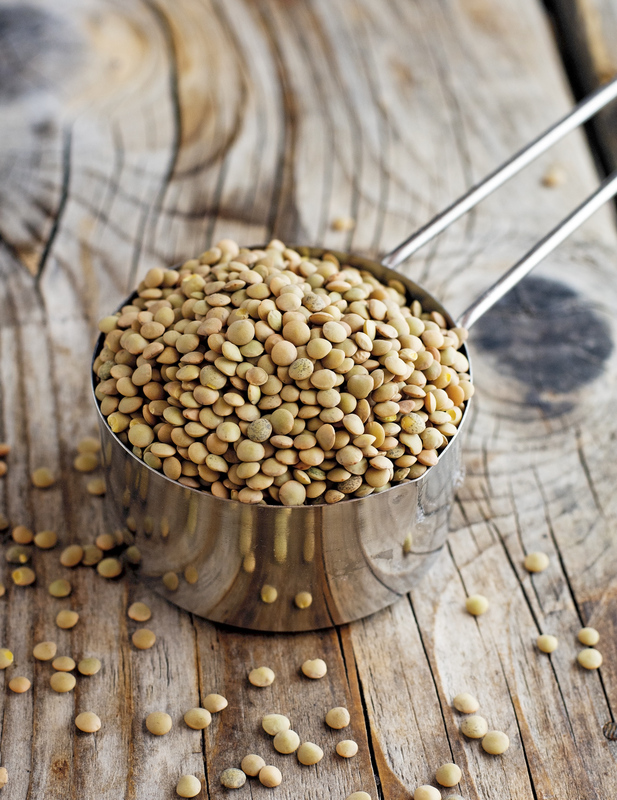 Place lentils back over medium heat, stir in coconut milk, and cook for further 10 minutes or until lentils are cooked through but not overdone. If at any point the lentils look like they're boiling dry add more coconut milk, a couple of tablespoons at a time. 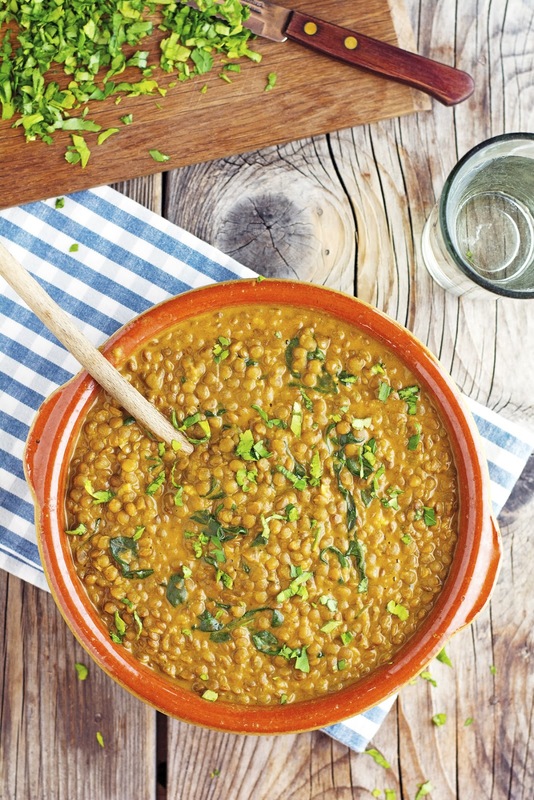 You want the lentils to be creamy, not soupy. Add spinach and cook for further 30 seconds, until just wilted. Sprinkle over with fresh chopped cilantro and serve! One serving yields 234 calories, 12 grams of fat, 34 grams of carbs, and 15 grams of protein. I've had curry and lentils before, just never together. Clever idea! The green curry paste has shrimp in it ... just FYI!